Our product range includes a wide range of cnc coolant pump. We are profoundly offering a comprehensive array of CNC Coolant Pump. Fabricated as per the norms and standards of the industry, these products are durable, abrasion resistant, and deliver excellent performance. These pumps are ideal for standard machine tools. We also provide our clients with high-pressure pumps for CNC machines. 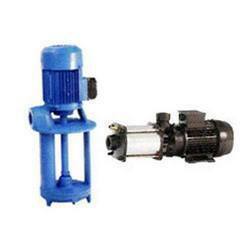 Further, our clients can avail from us, special pumps, which are suitable for any pressure & discharge. Looking for “CNC Coolant Pump”?